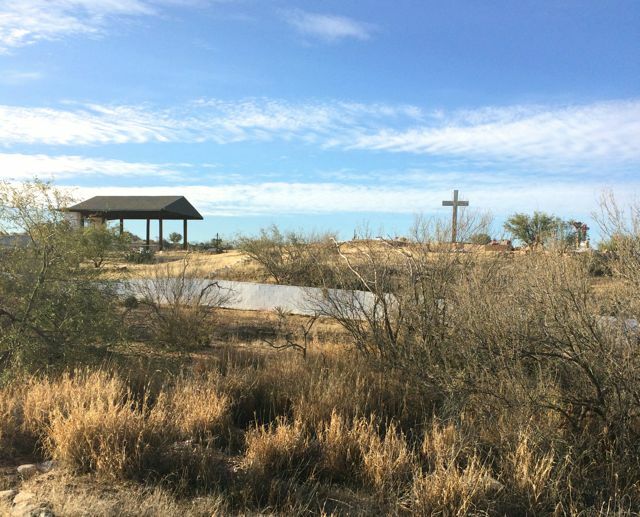 Located in the Rincon Valley along Old Spanish Trail (outside the Tucson city limits), this small cemetery sits atop a hillside. There are no signs on Old Spanish Trail marking the entrance -- look for the large cross on the hill (west) and the dirt road entrance. 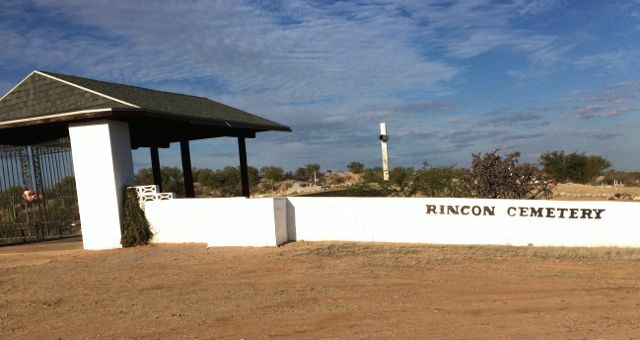 The majority of the graves face east to the Rincon Mountains.